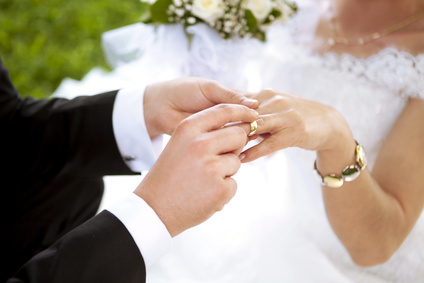 We have the perfect limousine for your dream wedding! The marriage continues to be a very special event in the life of two people. It can mean the most beautiful day, at least in life and onwards. This allows you to concentrate on the hard as such, the celebration and to your guests, we offer as part of our limousine services wedding trips to, as a complete package. Leave nothing at chance on your wedding day! And do not rely on promises of acquaintances or vague understandings! Even just before and also to the large number of day appointments are to be considered such as the visit to a beautician and hairdresser. We’ll take you there comfortably and reliably and pick you up again; even in stormy weather you arrive safely home or to the event. Whether you only get married in a civil ceremony or want to tie the knot at the altar, in either way you have to travel. We recommend a comfortable sedan, in which you both can comfortably accommodate in your festive clothing without damages. According to the registry office, perhaps a small snack in a different location in the inner circle? The Sedan awaits the freshly baked bridal couple. Guests also have the choice of other vehicles such as equally comfortable vans. This equally applies in the church weddings. The trip there and back, or to place the subsequent festivities can be designed in an extremely pleasant way thanks to our limousine service in Munich. Here is another, not to be underestimated advantage for you and your guests. In the civil registry and church parking are usually rather scarce. As a respected company with excellent contacts we reserve for our vehicles parking facilities only steps away from the entrance for you and your guest. When the feast is over, all will return safely and reliably to your home or hotel. In this way no one has to pay attention to whether probably yet another glass of wine may be allowed. All our limousines and vans are located in the upper category. They also feature a minibar and other accessories, which can make a particularly pleasant journey. For the wedding trips we decorate in advance in consultation with you, so that the colors are also attached to the bride’s bouquet and all other decorative elements.